The most common question I am asked when talking with meeting planners about bringing their event to Great Falls Montana is, “But where will we fly into?” It makes sense, the Montana brand is powerful. Mentioning “Montana” conjures images of wild, alluring, outdoor landscapes. “Montana” transports planners to country where sweeping grasslands are littered with grizzly bears and jagged snow capped Rocky Mountain peaks pierce the horizon. “Montana” causes planners to fantasize about the crisp, mountain fresh, Missouri River that tumbles into impressive waterfalls. When planners hear “Montana” they day dream about skies that are so big the edge of the universe feels within reach. Fortunately, the Montana brand supports both high-end amenities and rugged adventures! 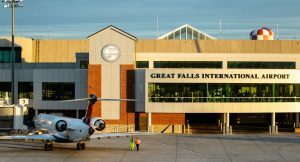 The Great Falls International Airport [GTF] is proximate, modern, and efficient which allows meeting planners to turn their momentary Montana reverie into a reality. “The Great Falls International Airport is a 15-minute commute from anywhere in town,” says Airport Director John Faulkner. John and I sat down to recap Great Falls International Airport 2018 successes and goals leading into 2019. John couldn’t resist bragging about GTF proximity and ease of access. Deciding to take your next conference to Great Falls has its perks. Attendees traveling to GTF are minutes away from checking into their hotel rooms after touching down in Great Falls. Twelve hotels offer complimentary shuttles and baggage lines are short and timely. Six rental car companies including: Alamo, Budget, Hertz, Avis, Enterprise, and National are available to quickly process cars to suit attendee travel needs. Attendees traveling into the Great Falls International Airport can look forward to the lowest average airfare rates into the state of Montana, (4 years and running). Throughout the holiday season there were zero security line backups, even with near record-breaking holiday passenger volume. GTF is close to hitting the TSA benchmark of moving passengers in-and-out of security within 20-minutes. “Visitors that are coming to our community from a major hub like Chicago or Seattle are really going to be delighted with the experience we provide here,” says John. The Great Falls International Airport offers on-site meeting spaces, a rarity in nationwide airport amenities. Their event space has 10,700 sq. ft. of flexible meeting space. Each of the three meeting rooms are outfitted with incredible floor to ceiling windows that provide panoramic views of the Missouri River valley, the Little Belt and Big Belt Mountains, the Highwood Mountains, and the city of Great Falls. It’s a stunning venue. This year GTF is signing a new food and beverage contractor after closing a 30-year contract with Airhost. Oakwells will take over operations in March of 2019, running the food and beverage for general passengers, catering for meetings and groups, and the news and gift shop. They will also be managing the sales side of the meeting space within the Great Falls International Airport. Oakwells will champion local beers and taste our place flavors. “We are very impressed with the new food operator. They have a track record of focusing on food quality and providing a lot of value and customer service,” says John. In terms of passenger volume, 2018 was a great year for GFIA. United’s traffic is up roughly 30% per month. 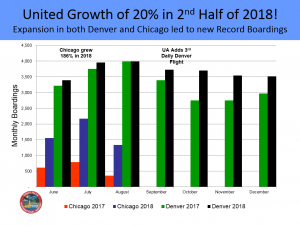 Denver expanded to a third flight throughout the winter months. Delta added additional flights throughout the holidays to move demand. 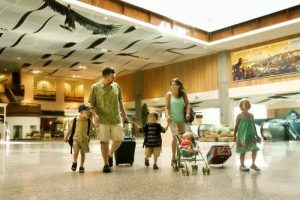 September through December 2018 were the second busiest months on record at the Great Falls International Airport, second behind 2014 when the Canadian dollar was stronger. 2019 is looking to be another strong year for Great Falls flight numbers. The direct flight from Chicago to Great Falls is already on sale with United for June-August 2019. John’s team at GTF will focus on a 2019 fundraising campaign to increase incentive dollars to attract additional shoulder season flights. The would be to see an additional West coast route with United and/or Allegiant. 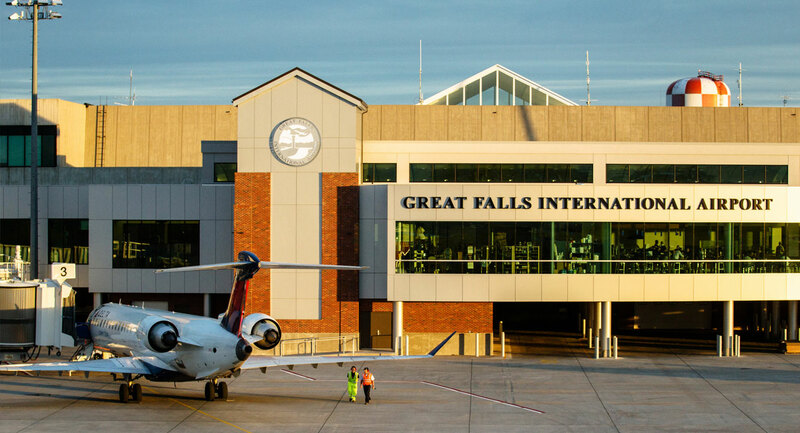 Snapping meeting planners out of their Montana daydream is fun when we have a cost-effective and efficient transportation hub like the Great Falls International Airport just minutes from our most valuable city assets. The answer to the question, “But where will we fly into?” is a simple one… directly to Great Falls, Montana!